The artistry is extraordinary and the craftsmanship is unparalleled. 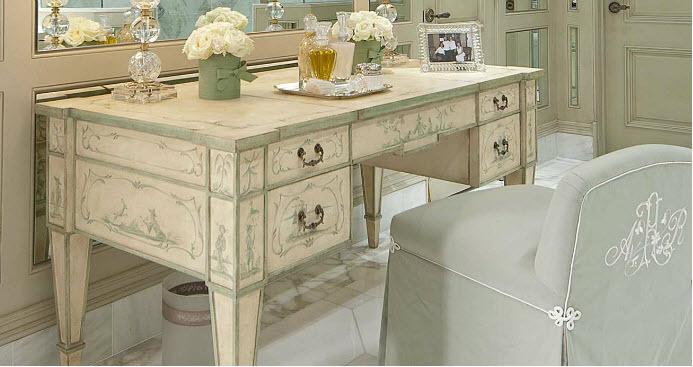 For more than 25 years, PATINA, INC. has been creating exquisitely crafted furniture, meticulously hand finished and hand painted in the "Old World" tradition. Each beautifullly detailed piece is the result of many hours of painstaking labor, resulting in signature, one-of-a-kind works of art that define the home and will be cherished for generations.